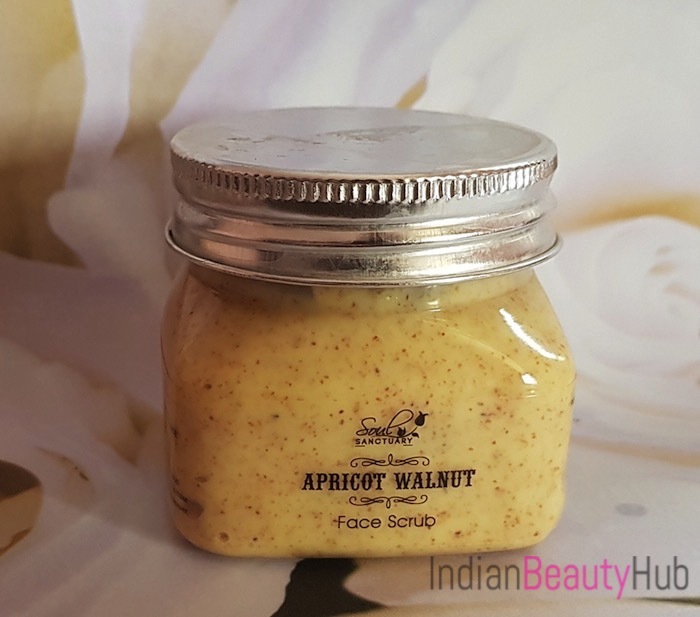 Hello everyone, today I am sharing the review of the Soul Sanctuary Apricot Walnut face scrub. I received this scrub along with some other stuff from the brand a few months back. I have already shared the reviews of face cleanser and bathing soap. 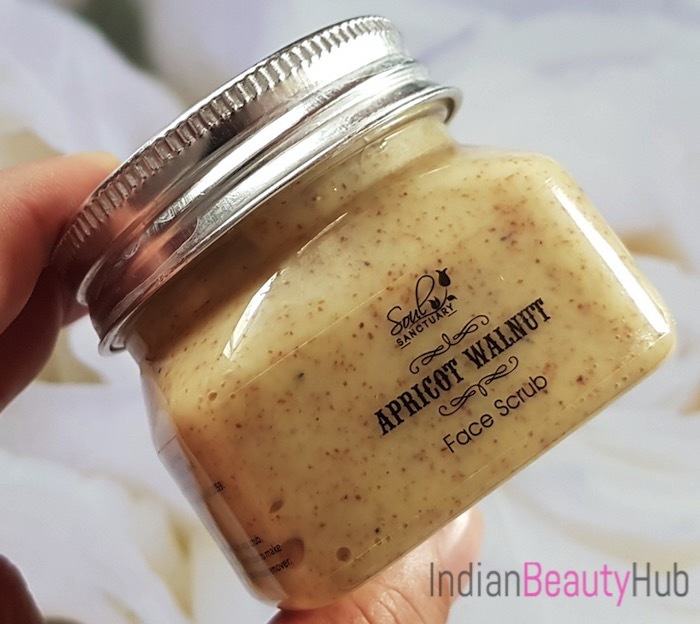 Exfoliating becomes a breeze with this heavenly apricot walnut scrub. Remove dead skin cells and excess grime from the pores of the skin to make your skin feel new again. Acts as an effective blackhead/ whitehead remover. 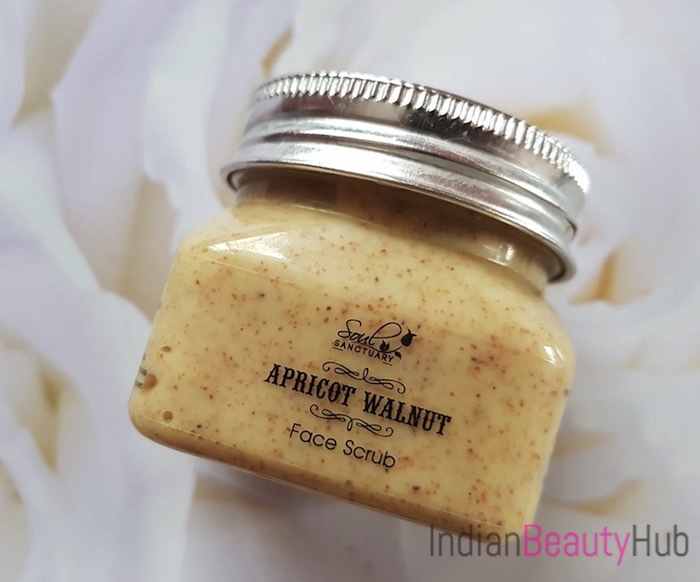 The price of the Soul Sanctuary Apricot Walnut Face Scrub is Rs.715 for 100g and it can be bought online from their official website zillonlife.com. 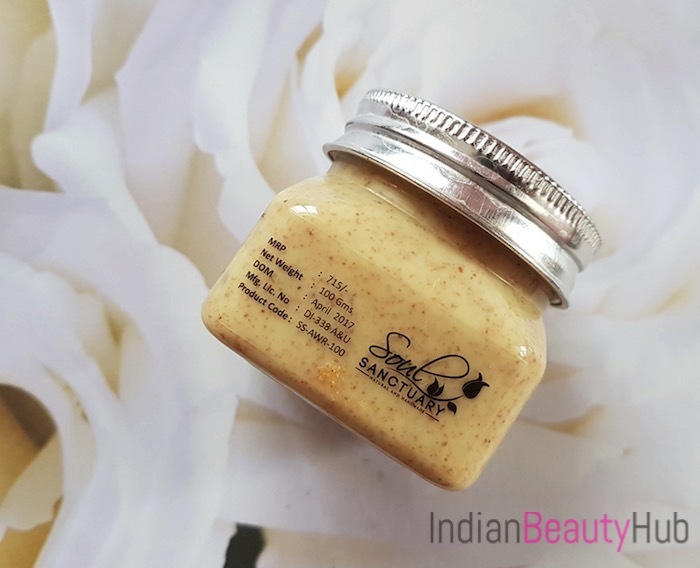 Packaging: Soul Sanctuary Apricot Walnut face scrub comes in a clear plastic jar with silver screw cap. The product related information like ingredients, price, benefits, expiry date, etc. is given on the packaging. However, the packaging is sturdy and spill-proof but still a jar pack is not considered very hygienic or convenient to use. 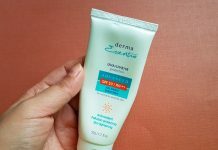 My Experience: I have a combination skin with oily t-zone that is prone to whiteheads and blackheads. It is must for me to use a good quality scrub to clean pores and get rid of blackheads. I always prefer scrubs enriched with either apricot or walnut. The ingredients list of this scrub looked so promising that I couldn’t resist but started using it. 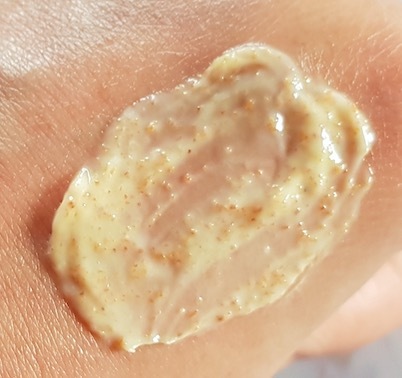 I have been using this Soul Sanctuary scrub for the past one month. 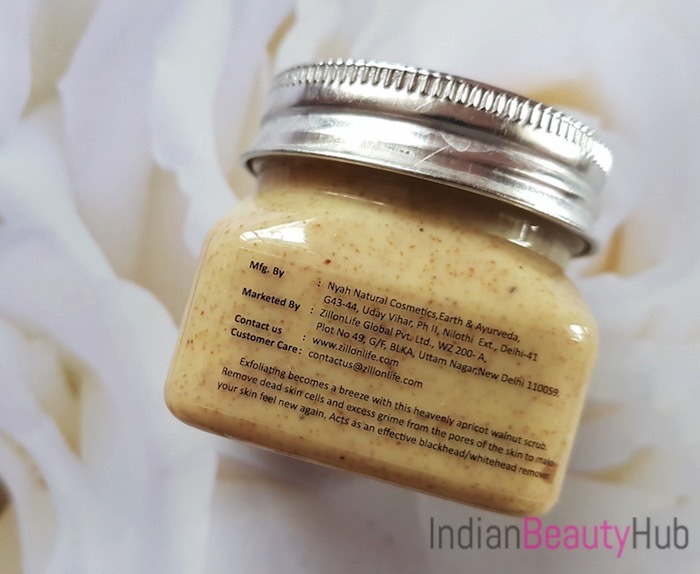 The face scrub comes in a peach color and has a spice & herbal mix scent (I’m very bad at describing fragrances :P ). 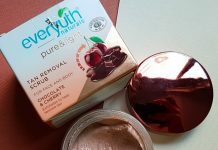 It is a cream based scrub and contains many round shaped walnut granules. I generally take a coin size amount of the scrub on my fingers and then start massaging it on my clean and slightly wet skin. I mainly focus on my nose, chin and inner cheek areas that are more prone to blackheads. I keep massaging it with gentle stroke for about 3-4 minutes and then wash it off with normal water. After pat drying my face feels soft, refreshed and moisturized. It removes impurities from pores and extracts whiteheads and blackheads effectively. However, I need to use a blackhead extraction tool to remove stubborn blackheads that seated deep in the skin. 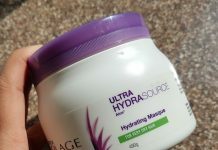 It neither dry out the skin nor does it cause any breakouts. The only drawback of this face scrub it that the granules are quite abrasive and you have to be very gentle while massaging it on your skin. If you put on too much pressure then it can cause skin irritation. This is the only reason I use this scrub only once a week when I want to deeply exfoliate my skin. Even I sometimes use it on my arms and legs before shaving. It is enriched with some amazing natural ingredient extracts. 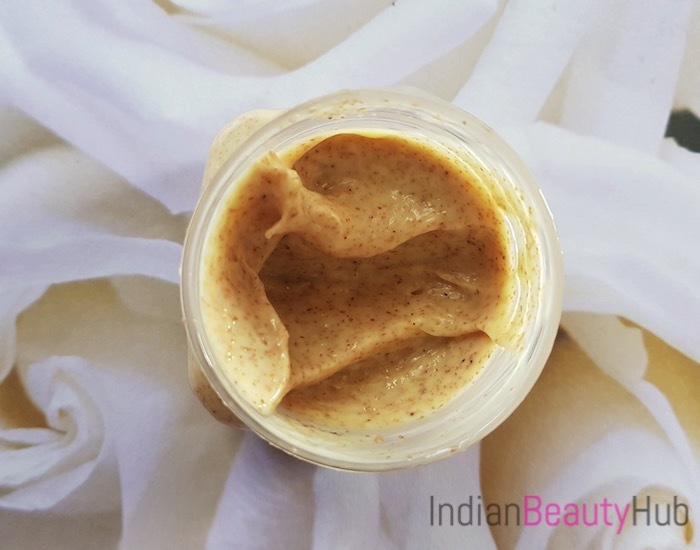 A cream based face scrub that exfoliates skin nicely without ripping off skin moisture. It opens closed pores and removes whiteheads and blackheads leaving the skin soft and refreshed. It is chemical free and comes without harsh preservatives. The quantity provided is very good and a little goes a long way. A jar packaging is not very hygienic to use. The scrubbing granules are little abrasive and can irritate sensitive skin. So I advice people who have sensitive or acne prone skin should avoid it. 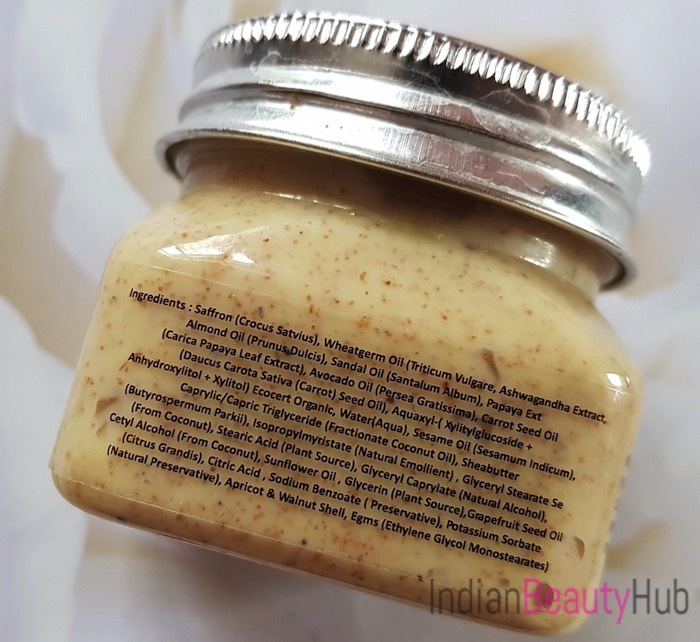 Overall Soul Sanctuary Apricot Walnut Face Scrub does what it claims. 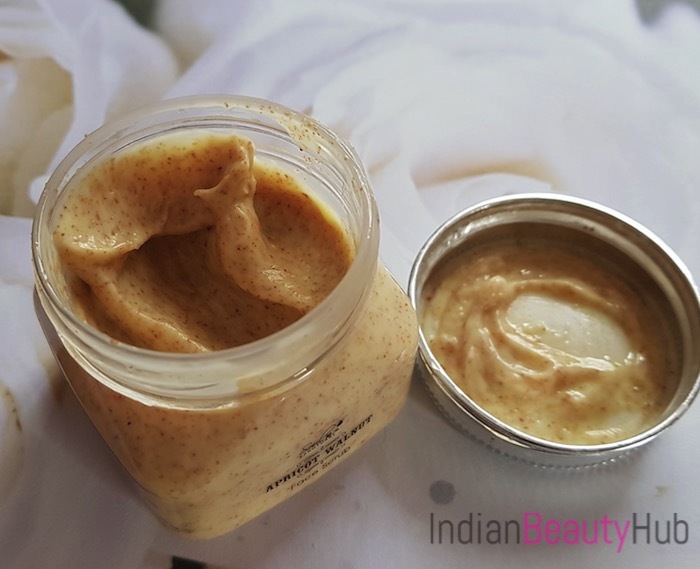 It exfoliates the skin well and leaves the skin soft, smooth and refreshed. Its price is on the higher side but considering its performance I think it'll not disappoint you.